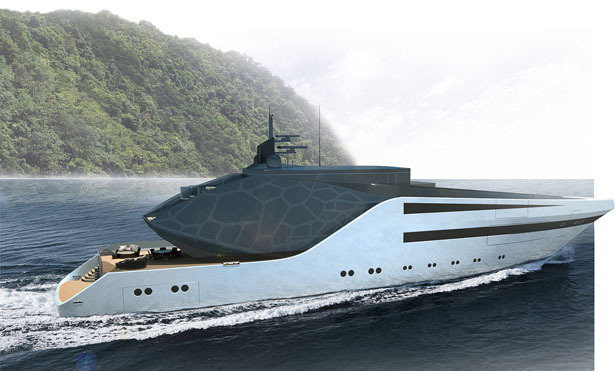 Anaconda Yacht is a 65m modern explorer yacht designed by Juan Ortiz Rincon. 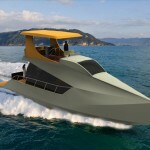 He was selected as Young Designer of the Year Finalist during the 2013 ShowBoatsDesign Awards at Monaco. 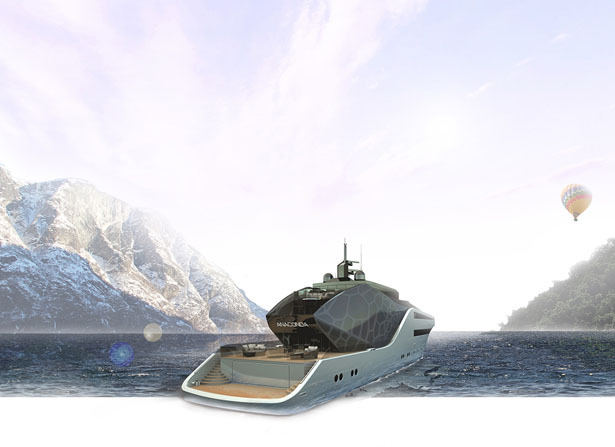 It’s been designed for worldwide adventures or traveling in a relaxed way even to the most remote places without sacrificing comfort of your superyacht lifestyle. 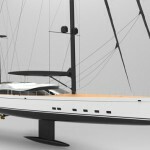 It boasts clear profile lines of the exterior design that make it easy to recognize and remember the yacht, providing her with a unique character. 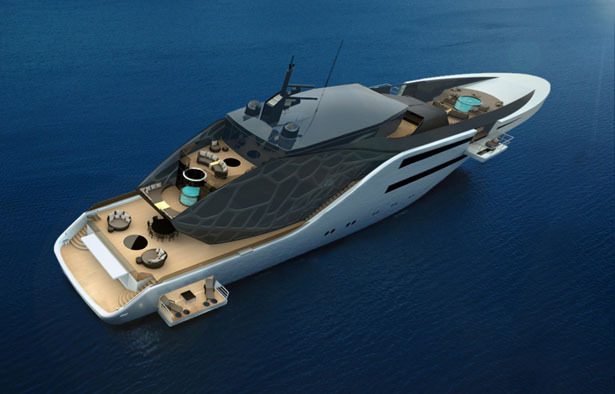 You can feel the interior style of this yacht provides the feeling of open, luminous spaces, both inside and outside areas are connected with elements such as panoramic windows and skylights. 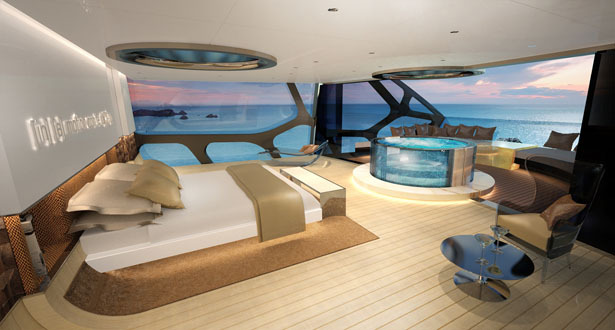 As a yacht owner, this person can enjoy a skylight above the bed, a perfect place for shooting star watching. There’s also inside-outside glass Jacuzzi which is usable in any weather conditions. 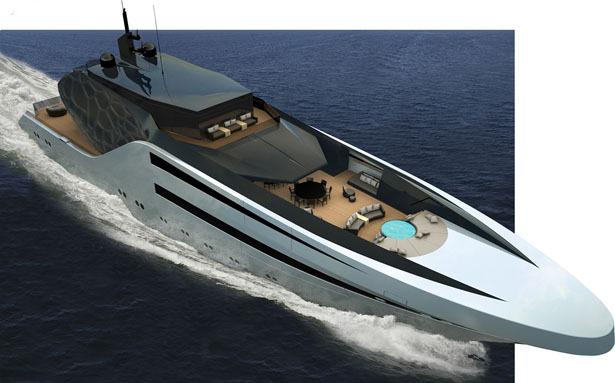 The material of this concept yacht combines warm, natural colors and textures, such as black lip mother of pearl, white oak, honey onyx and coconut mosaics, with contemporary materials, like glass and stainless steel. 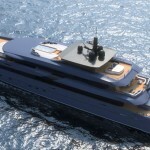 Special attention was paid to the interior layout of the Anaconda Yacht, creating a unique general arrangement and offering much more usable space than other yachts of the same range. Therefore the zones on board are divided into active and passive, as well as day and night zones; in order to connect the areas in a clever way and profit from multi-function-areas where appropriate. 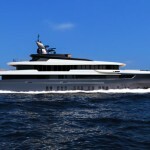 The active day zone is the aft part of the yacht, including the day salon, the exterior breakfast area and a connection to the beach club, offering a diving store and preparation and access to water sports and shore excursion boarding. 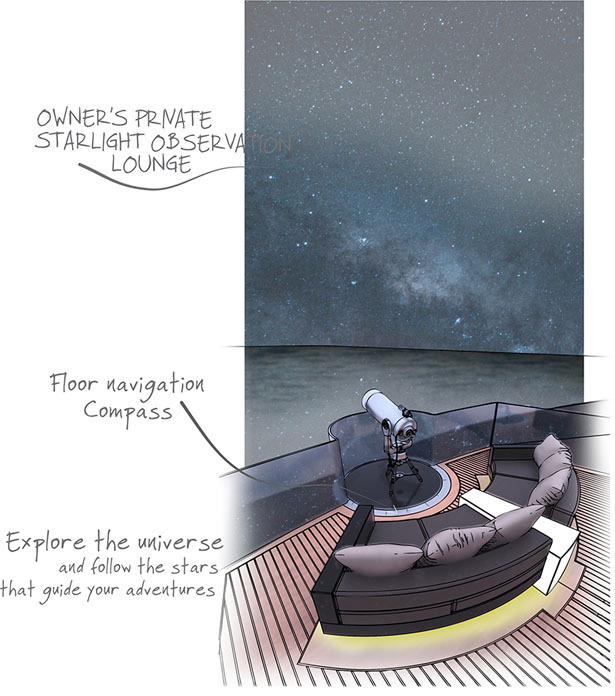 During the night time the day salon converts into a cinema, transforming into a calm evening zone in order to provide privacy and tranquility to the owner’ area, which is located on the main and upper deck aft. 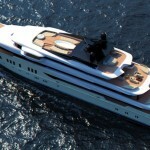 The passive day zone on the fwd part of the yacht includes a glass Jacuzzi and large lounging and sunbathing places, as well as folding balconies with breathtaking views over the ocean and cozy niches for relaxing. The connecting main salon offers the right ambience for dining. Alternatively there is the Teppanyaki show cooking and BBQ bar awaiting you on the exterior deck. Afterwards you can have a drink at the fireplace lounge or a sundowner cocktail in the exterior lounge, before starting partying at the discotheque, located one deck below and connected via an external staircase. This area has now become the active night zone. 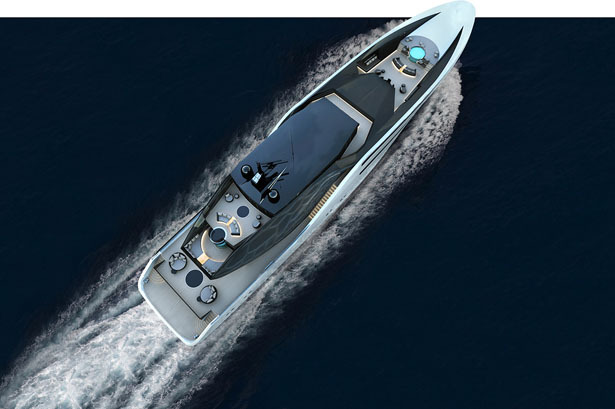 During the day the discotheque is used as one of the two tender garages, storing a DeepFlight Super Falcon submarine and three additional tender boats, such as a sports tender, exploration tender and limousine tender. 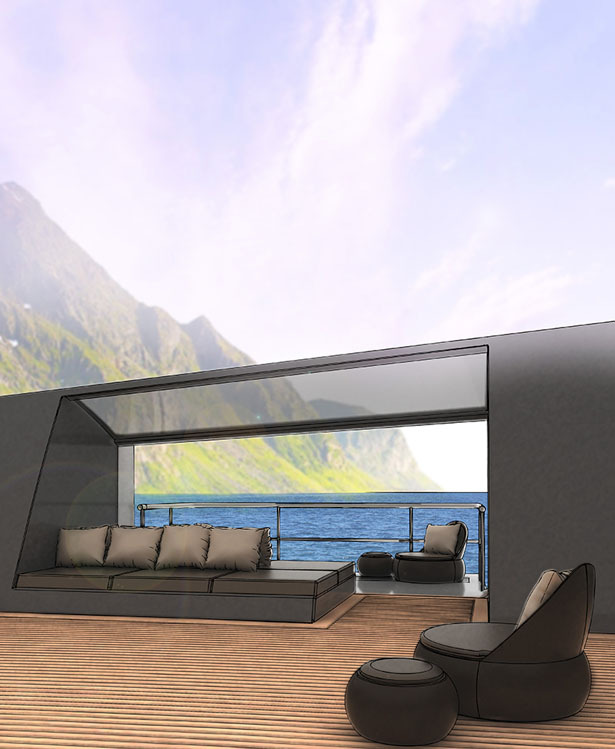 The three large double guest cabins are located on the main deck, right in the heart of the public areas. 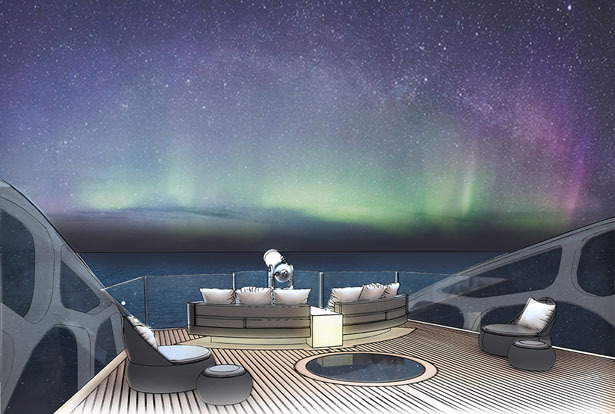 From the main deck you have as well direct access to the library and the spa, featuring massage rooms, hairdresser, sauna, float tub and gym. 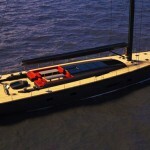 A special highlight on board is a hot-air-balloon-departure on the forward part of the yacht. 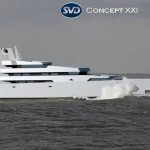 Tuvie has received “Anaconda Yacht” project from our ‘Submit A Design‘ feature, where we welcome our readers to submit their design/concept for publication. 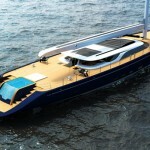 Tagged as adventure yacht, contemporary yacht design, explore the ocean, explorer yach, folding balconies, glass jacuzzi, shooting star watching, sunbathing place, yacht designer.